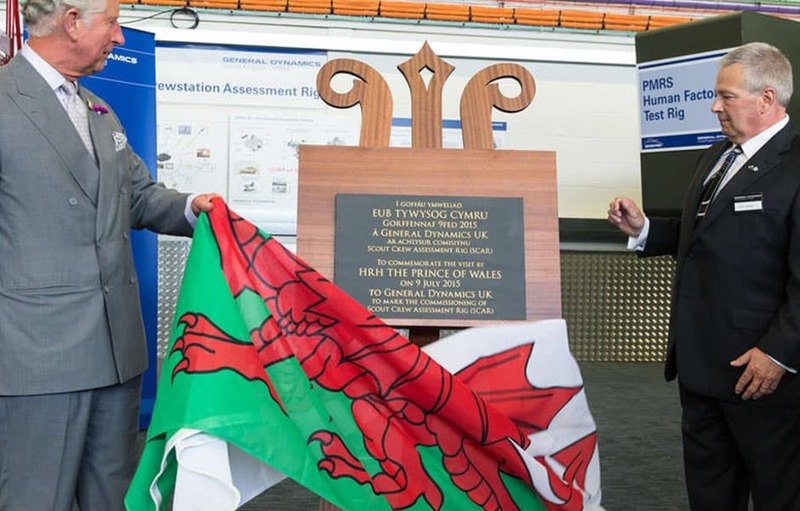 The General Dynamics Commemorative Plaque marked the visit of Prince of Wales to General dynamics UK. The prince was given a tour of the site before unveiling the plaque which was presented on Stone Sign’s hand-made easel. 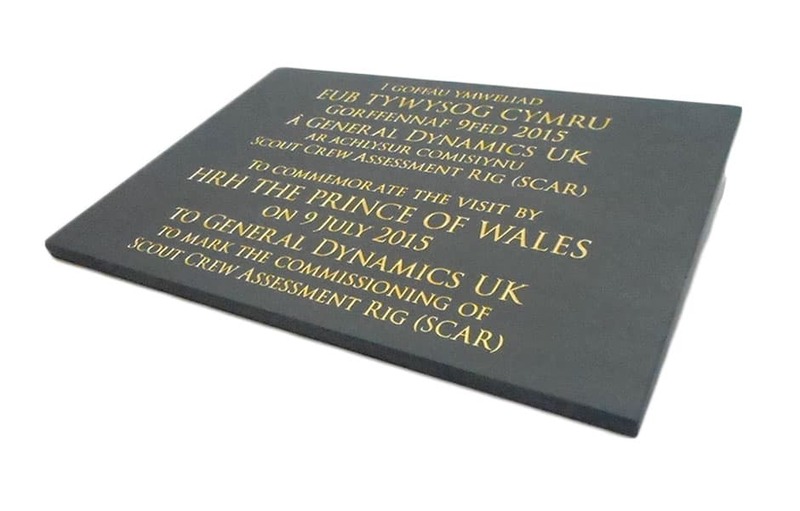 The plaque itself was made from 20mm thick Welsh slate and hand finished with 24 carat gold leaf.